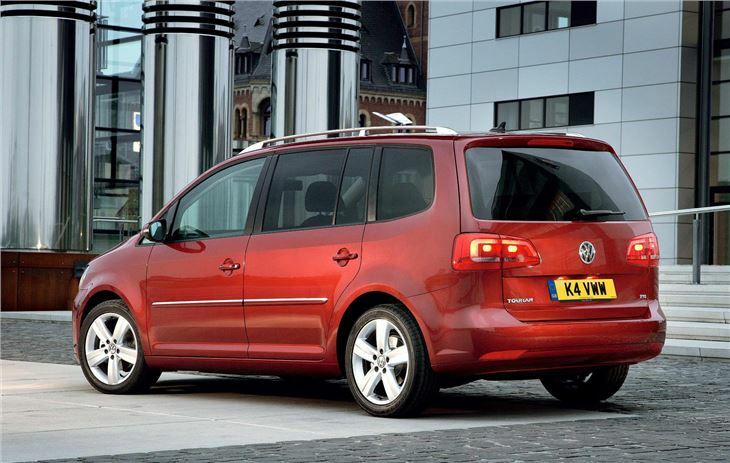 The sharp new Volkswagen Touran is now available to order now with the first cars set to arrive in late September. The newcomer is available with a range of efficient engines while inside there's a revamped interior but the same level of versatility that has made the outgoing Touran such a popular choice. Prices start at £17,585 for the latest model which draws on the new Volkswagen design seen on the Volkswagen Polo and the new Volkswagen Sharan. The changes include redesigned front wings, bonnet and front bumper which are joined by new wing mirrors, rear lights and a restyled tailgate and bumper. 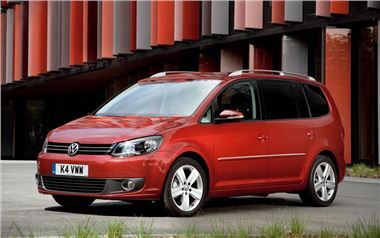 For the first time, the Touran will be available with the new 1.2-litre TSI petrol engine. Despite a modest size, the turbocharged unit develops 105bhp while returning 44.1 mpg on the combined cycle and emitting 149g/km of CO2. In BlueMotion Technology form, complete with Stop/Start and battery regeneration, the 1.2-litre TSI engine is capable of returning 47.9mpg while emitting an estimated 139g/km of CO2. A further petrol and four diesel engines will be available, ranging in power from 90bhp to 170bhp. Inside the new Touran the entertainment and climate functions have all been revised and a new three-spoke steering wheel sits ahead of restyled dials. Fresh trim finishes are also available. As with the outgoing car, the new Touran's focus is on versatility, with the ability to carry seven adults with the third row of seats folding flat into the floor. In addition, air conditioning, alloy wheels, roof rails, a CD stereo system, ABS, Electronic Stabilisation Programme (ESP) and six airbags are all fitted as standard. A five-seat option is also available. The second generation of Park Assist, a system that will also be available on the new Sharan, is also available. Not only does the new system require less space to perform parallel parking manoeuvres, it also allows the Touran to be parked in spaces at 90 degrees to the kerb.